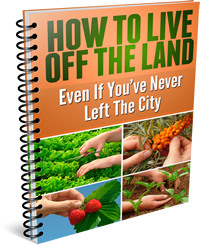 The following post will guide the novice or remind the expert on some basic methods on the topic of How To Plant A Vegetable Garden. Following some simple techniques will give you great results with higher yields. McShanes Nursery& Landscape Garden Supply have some really simple and basic ideas on how to plant a vegetable garden. the following ideas are related to a small space on your yard or patio using container gardening techniques. You probably want a vegetable garden for several reasons. One is that it will save you a lot of money as compared to going to the store to purchase. A $20 to $30 investment will give you most of the vegetables you will need in a full growing season. 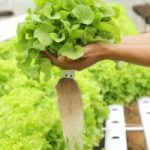 Your vegetables will be a lot healthier due to the fact that you will be growing them with organic techniques. No harsh chemicals or pesticides. It can and should be a very rewarding and relaxing hobby. If your going to use containers, of course the first thing you need to get are some containers. They can be simple plastic buckets with holes drilled in the bottom for drainage, to some nicer looking pots from your local nursery or big box store. A good quality potting soil that contains some good quality organic ingredients. 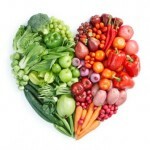 That is your foundation which will go a long way for a great yield of good tasting vegetables. Fertilizer. Many ways to go here, you can use a variety of products and or use what comes out of your compost pile. A good organic and balance natural fertilizer will do wonders for great yields of great tasting vegetables. Seeds or all ready started plants. The choice is yours. Seed will have to be planted early in the growing season, while young ‘seedlings’ will give you a head start to your planting of a vegetable garden project. Water. Do not forget to water your plants on a regular basis. Do not drown them. When the soil is feeling a little dry, give those vegetables a drink. We hope you enjoyed this post as an introduction to a very rewarding hobby.